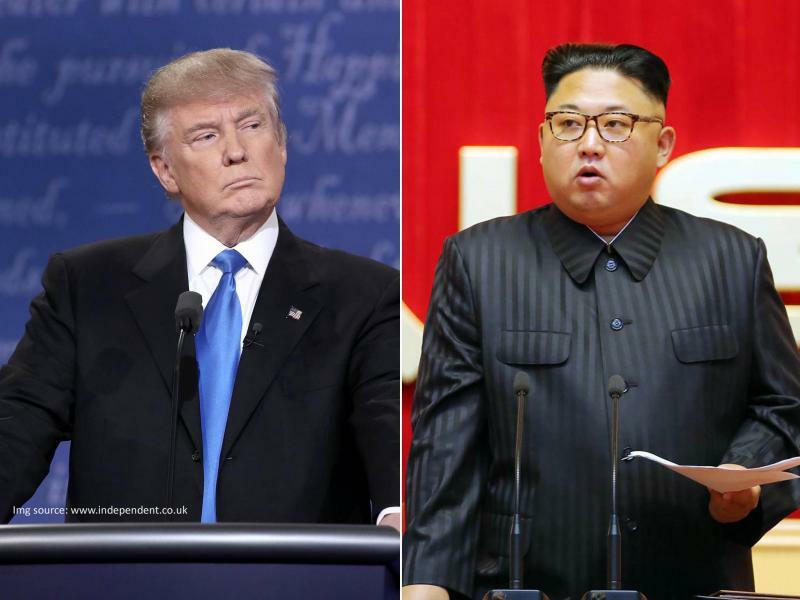 Watching warily its ally North Korea moving closer to the US, China welcomed the historic summit between US President Donald Trump and maverick leader, Kim Jong-Un for a direct dialogue bypassing Beijing. Trump today said he has agreed to meet Kim Jong-Un by May, setting the stage for a historic summit between the two leaders who have repeatedly traded insults amid spiralling tensions over Pyongyang's nuclear and missile programmes. "We welcome this positive signal by the US and North Korea in having direct dialogue," Chinese foreign ministry spokesman Geng Shuang told media here today. "We hope that all parties can demonstrate political courage and make the right political decisions," he said amid criticism that Kim, who is yet to meet Chinese President Xi Jinping despite close ties between the two countries will be meeting Trump first, which observers here say is a disquieting development for China. China has long viewed North Korea as a strategic buffer zone from encroachment by the US and its Asian allies. In a surprise move, Trump agreed to Kim's offer for talks on Pyongyang's nuclear programme, South Korean national security adviser Chung Eui-yong said in Washington today. Geng ducked questions whether China could host the summit between Kim and Trump saying that "what we have done is there for all to see and our role in easing tensions. China will play a positive role," he said. On Trump's move to pressure China to implement the sanctions, including cutting oil and energy supplies, Geng said the sanctions have worked but China has paid a price for it. "China has been fully and strictly implementing relevant UN resolutions" on North Korea, he said. "We paid our price" in an apparent reference to causing anger to North Korea. "However, we will continue to honour international obligations," he said, adding that sanctions are not an end but the resolution of the denuclearisation of the Korean peninsula, the main demand of US can only be achieved through political and diplomatic means. "China will continue its positive role," he said. Chinese analysts say the Trump-Kim meet is a setback for China. Shi Yinhong, director of Renmin University's Centre for American Studies and an adviser to China's central cabinet, said while China may welcome the breakthrough and to see an easing in tensions in the region, it should be worried about the geopolitical implications of warming ties between Washington and Pyongyang. "While China has exhausted its resources (in the stand-off), it has failed to even gain concessions on trade from Trump," Shi was quoted as saying by Hong Kong-based South China Morning Post today. Trump piled up pressure on China to strictly enforce sanctions linking Beijing's actions to Chinese imports to US. "During the whole process, China has been completely excluded … It can only stand on the side-lines and welcome the development, but it can almost do nothing," he said. Relations between North Korea and China, its sole ally and economic patron, have deteriorated sharply in recent years, with Kim and Xi yet to exchange official visits. Kim snubbed China last November by refusing to meet Xi's envoy Song Tao who is also the head of the Communist Party of China (CPC) International Liaison Department, when he went there to brief him on the outcome of 19th Congress of the party. Kim apparently was upset as China supported the maximum pressure campaign of the US, agreeing to several rounds of United Nations sanctions last year, including bans on North Korean exports of iron, coal, lead, seafood, textiles, as well as some oil import restrictions. Lu Chao, director of the Border Studies Institute at the Liaoning Academy of Social Sciences, said China still played a key role in curbing North Korea's nuclear ambitions. "North Korea will not be able to survive without China. North Korea's economic structure is closely linked to China, as you can see from the impact the UN sanctions have had on North Korea,” Lu told the Post.